In a news conference today, Rep. Anthony Weiner (D-NY) denounced Goldline International, Inc. of Santa Monica, California and also media celebrity Glenn Beck, host of a radio and television program on which Goldline advertises. Weiner says he has sent letters to the Securities and Exchange Commission (SEC) and Federal Trade Commission (FTC) requesting an investigation of Goldline’s more questionable business practices. He further stated that he plans to introduce legislation requiring such sellers to make full disclosure of 1) hidden fees; 2) the premium above intrinsic metal value that the seller is charging for products; and 3) the price that gold must reach in order for the customer’s purchase to be profitable. Goldline issued a statement today defending their business practices. It also pointed out that Rep. Weiner’s office had never contacted the company to ask for additional information about industry practices that might have resolved some of the concerns. On his radio program this morning, Glenn Beck accused Rep. Weiner of being an attack dog for President Obama, who has significant differences of opinion with Beck. This story needs to be analyzed on at least two different levels. There is the legal and ethical aspect of the company’s business practices and consumer service issues. Then there are the political angles. In a free market, any would-be seller is free to ask any selling price they want for any product. Potential buyers are also free to choose to buy or not to buy. Philosophically, I have no moral objection to anyone who may choose to price their merchandise at a price far higher than the competition as long as the seller does not violate any law or deceive or defraud the customer. However, even though it may be legal and moral, I find it repugnant when a seller takes advantage of a buyer’s ignorance to sell a product 1) for a price much higher than charged elsewhere; or 2) that is unsuited to satisfying the customer’s purpose. In particular, Goldline is well known in the coin industry for promoting the sale of Proof Gold and Silver Eagles at high prices compared to most other dealers. In my company’s experience, potential customers doing price comparisons have told us that our selling prices for such coins are usually 25-35% lower than Goldline’s. Besides the high price relative to wholesale trading levels, the promotions of Proof Eagles by Goldline and other such companies has temporarily caused the prices of these coins spike higher than I expect them to maintain in the long run. The prices of Proof Gold Eagles, in particular, were so high that in my writings over the past six months, I have frequently recommended selling them. Further, Goldline and other companies have promoted the sale of these products for inclusion in Individual Retirement Accounts (IRAs). It also does not make sense to me to place into a tax deferred account an asset where taxes are already deferred until the time of sale. In almost all instances where customers contact our firm about purchasing gold or silver for their IRA, the sale of bullion-priced products best suits the customer’s purposes. Customers who first talked with Goldline representatives before calling us report that they are typically being steered to purchase the Proof Gold Eagles rather than merchandise more suited to the customer’s purposes. I suspect the higher profit margins realized by Goldline when selling Proof Gold Eagles may have influenced what the company’s sales representatives told callers. There is nothing wrong with a celebrity earning endorsement income. Goldline not only advertised on Beck’s programs, its website also features an interview by Beck of the Goldline CEO, and a video testimonial by Beck endorsing Goldline. Goldline would not seek such endorsements unless its management judged that their value at encouraging business would be worth more than the cost of the endorsement. Even if Beck were paid a commission based on the amount of business he drummed up for Goldline, such an arrangement is neither illegal nor unethical, even if Goldline does not disclose that Beck was paid for his endorsement. While the business practices of Goldline may have been legal, in the instances where customers have told us of their experiences with that company—including showing us the invoices for purchases—I found that the customers would have been better served working with many dealers other than Goldline. The price differences for easily available merchandise were so large in some instances that I actually felt badly for the customers who let themselves be taken advantage of. A number of other coin dealers around the country have regularly told me similar stories about Goldline’s pricing policies. Unfortunately, publicity over questionable business practices by one major company in an industry can raise public suspicions of the entire industry. It is possible that the attack on Goldline could result in further political regulation of the private sales of physical gold and silver. The impact of the legislative changes that Rep. Weiner says he wants would not particularly affect my company. We do not add hidden charges to the price of our merchandise. We post online and in our stores a daily quotes page that lists dozens of popular products we sell along with the premiums at which these products sell above their precious metals value. Customers regularly ask us for our buy and sell indications, which we are pleased to provide. By knowing the “spread”, it can be fairly easy for a customer to figure out how much the price of gold might have to rise to be in a profit position (of course, this doesn’t take into account that premiums can and do change over time). As a result of today’s attack on Goldline, I anticipate a few reactions. I suspect that Proof Eagle demand will decline, leading to falling prices for the coins. I expect that some number of existing gold and silver owners will panic and sell off their holdings. Other people who are considering a first-time purchase of gold and silver may be scared away from actually going through with such plans. Many people who continue to patronize coin dealers may start asking additional questions about premiums and buy/sell spreads. Overall, I expect that coin dealers will lose some business that they otherwise might handle. The political angle of this attack seems obvious to me. Buying physical gold and silver can be interpreted as a rejection of paper currencies and government regulations. Owning precious metals may signify a degree of mistrust in the government. If you own an ounce of gold or silver, the government cannot inflate it! Therefore, the politicians and bureaucrats with the political power have an incentive to discourage people from buying physical gold and silver. An attack on a major dealer that makes the whole industry look bad can help accomplish such a goal. As questionable as some of Goldline’s business practices may be, the amount of money “lost” by their customers is insignificant compared to losses sustained by those who invested in Enron, Bear Stearns, Lehman Brothers, General Motors, AIG, Wachovia Bank, Washington Mutual, Chrysler, the other 200+ US banks that have failed in the past three years, and most US-dollar denominated government and corporate paper assets. Further, the massive federal budget deficits are harming Americans more than all the alleged misdeeds by all coin and bullion dealers put together. Even at the high prices that Goldline may have charged customers a decade ago, I suspect that many are now in a profit position. I would not be at all surprised to learn that the attack on Goldline had more to do with political retribution against people who value their freedom and are trying to protect their wealth than any concern by politicians and bureaucrats for the well-being of the citizenry. The attack also helps divert attention from the growing political and financial mess for which governments shoulder a major part of the blame. Feel free to ask questions of any seller of physical precious metals. Don’t settle for wishy-washy answers. But don’t let this attack on Goldline blind you to the overwhelming list of reasons to own gold and silver. Goldline’s “bid” is the price it pays to clients for a product. Goldline’s “ask” is the price it charges clients for a product. Goldline has a price differential or “spread” between its bid (buy-back) and ask (selling) prices for precious metals, rare coins and rare currency. The price of Goldline’s semi-numisimatic and numismatic coins and currency include the bid/ask spread that ranges between 30% and 35%. An average stock broker commission is 2% and these scammers are getting 35% off the top. The only reason you are attempting to portray this investigation as a leftist plot and the fact that Goldline and Limbaugh and Beck and any others are exploiting ignorant listeners’ investment capital is because you are trying to do the same thing. Shame on you for politicizing this investigation and trying to hide the illegalities Goldline and Glenn Beck have orchestrated. Mr. Keller your article missed the point of this attack. It isn’t about business practices. It’s about shutting down anyone who speaks out against the Obama regime. 3 Presidential advisors, Andy Stern, Van Jones and James Wallace are All leading boycotts of Beck advertisers. Now a Congressman comes out attacking Goldline. Not 6 weeks ago tge FTC was looking at Lifelock for overvaluing the benefits of their service. If Obama continues this… who’s next? There will be political blowback. Sure. It’s afun and games till someone loses a weiner! Time will prove that this has nothing to do with Goldline itself but everything to do with a progressive agenda. See http://wp.me/pjGfE-3vE. Unfortunately, some gold sellers use the fear engendered by this “chattering class” to sell their products. Goldline fits this description to a TEA! Notice that Heller gets in some digs at Goldline’s expense before he attacks the actions of the Congressmen. Do you suppose that Heller’s business interests have anything to do with his point of view. Governments represent potential regulation and Goldline is a competitor. It is clear that most of the commenters have a political bias against Rep. Wiener. It is also clear that Mr. Heller may as well because of his assumption that Goldline also advertises on “liberal” programs that Rep. Wiener does not attack. Unfortunately, for all of your preconceptions, Goldline is not an advertiser on any of the “liberal” MSNBC programs. WEINER” Is a whiner” for the left agenda ..and your ‘post against BECK , guised as a goldline subject , shows your over leaning to the left as well . This whole obammanation thing going on is PITYFUL , I want my Country back !!! ..MR. BECK is doing our Country a service … If folks are so DUMB as to not shop around for gold prices ..or ‘car, prices ..then for sure they voted for this ”thug ”’ we got in the White House ! MSNBC……….The ‘thief-in- chief`s , private tv station ! Note: I don’t buy gold or silver at present. Haven’t bought since the 1980 bubble. First, no one is required to buy from Goldline. Some of you sound like you will be forced to buy from them. Second, after checking a few places out, they appear to be expensive relative to the market. At their prices, it will be a long time before you may get your investment back. If Republicans shut down the government spending machine and commodity prices go back down, it may be a really long time. Third, there is nothing wrong with people endorsing overpriced goods. However, my trust level for the personalities endorsing Goldline has taken a significant hit. If they recommend overpriced goods, what are their opinions worth? If they buy their gold from Goldline at advertised prices, they are not acting in their best interest. My opinion of course. Fourth, while it may be true that Glenn Beck’s sponsors are the subject of a boycott, I would never buy anyway due to their prices. It defies logic that someone would pay overly high prices just to show some boycotter up. Fifth, I think the proper way to look at Glenn Beck’s endorsement, is that if you trust him, then buy gold (or any flavor of metal you like), but not from the vendor he recommends. Buy from someone who is roughly competitive with the market. I like one of the previous commenter’s thought: Buy from a coin shop anonymously, pay cash. Sixth, I’ve noticed some of the companies deliver in a month. That’s giving them an interest free loan until they ship. Amazon and others have your stuff in a couple days. These people who have replied to this article have no idea what they are talking about, they have changed the subject from Goldline and Gold buying to attacks on Glenn Beck which is an old argumentative trick, to change the subject. 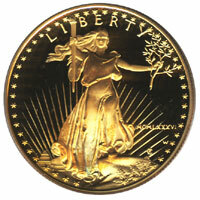 Goldline sells way too high, 60%-70% higher than anyone could buy gold or silver at their local coin shops/dealers. You are a fool to buy from Goldline or any other national advertisers when they sell U.S, coin silver at $22-$25 face when you can buy the same or equal value coins at local coin shops for $15-$17 face. For all of those right wingers who lied and said it had nothing to do with Goldline and everything to do with a “liberal agenda,” take a look.